Preparing for a third party risk management audit? Preparing for an audit can be mind-numbing and a bit scary. 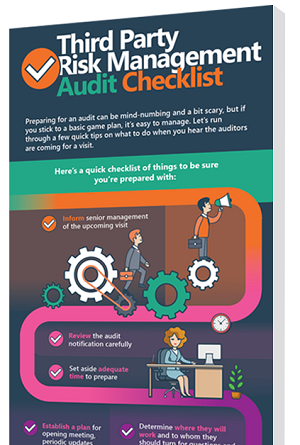 We've developed a checklist of things to help you manage and be sure you’re prepared when you hear the auditors are coming for a visit.